October 2, 2017 – Universities Space Research Association (USRA) announced today the appointment of Bernard Seery as Senior Vice President, Technology. Research and Development. In this new role, he will oversee USRA activities in aeronautics, advanced computing, microgravity research, autonomous systems and space nuclear technology, among other areas. 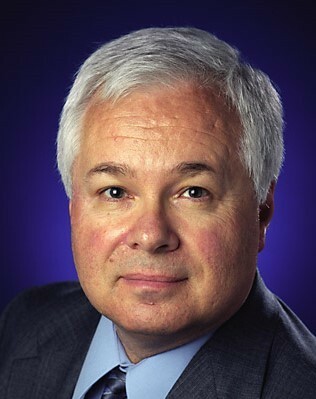 Prior to joining USRA, Bernard Seery had a distinguished 29-year career at NASA where he was a member of the Senior Executive Service. He served as Assistant Center Director for Advanced Concepts at NASA’s Goddard Space Flight Center in the Office of the Director. In this role, he was the lead executive for strategic inter-agency collaborations on space architectures, quantum sensing, and asteroid planetary defense. In prior assignments, he served as Deputy Director, Sciences and Exploration Directorate, GSFC; Deputy Associate Administrator, Biological and Physical Research Directorate, NASA Headquarters; and Project Manager, James Webb Space Telescope. Before joining NASA, he held several positions at TRW Space & Defense and Los Alamos National Laboratory. Seery earned a B.S. degree in Physics at Fairfield University and an M.S. degree in Optical Sciences at the University of Arizona. He is a graduate of the Senior Executive Fellows Program at the John F. Kennedy School of Government, Harvard University, and is a Fellow of SPIE—the international society for optics and photonics. Among other distinctions, he received the NASA Exceptional Service Medal and the NASA Outstanding Leadership Service Medal. Founded in 1969, under the auspices of the National Academy of Sciences at the request of the U.S. Government, the Universities Space Research Association (USRA) is a nonprofit corporation chartered to advance space-related science, technology and engineering. USRA operates scientific institutes and facilities, and conducts other major research and educational programs, under Federal funding. USRA engages the university community and employs in-house scientific leadership, innovative research and development, and project management expertise.